Cheltenham offers a fantastic mix of traditional and modern culture, not to mention being the most complete Regency Town in the UK. When it comes to things to do, we have a plethora of attractions, parks, theatres, museums and points of interest, and an abundance of culture and heritage to complement the modern-day leisure and nightlife scene. We could write so much about the amount of things to do in Cheltenham that it would take you all day to read, when you really should be here already, enjoying it. 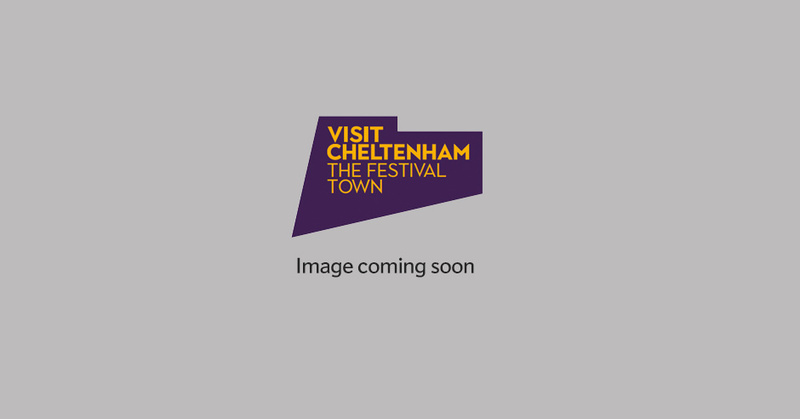 To assist you in planning your visit, we have categorised all the things to do in Cheltenham into groups and themes, so just hover over the Things to Do tab to display a whole host of options and click on what takes your fancy. To offer a brief summary, “Cheltenham Spa” as it has been known for many years, is synonymous with heritage and architecture, one of the many draws for national and international visitors alike, and walking tours are offered throughout the spring and summer to highlight the most notable buildings and monuments. Take to the water at the boating lake in Pittville Park or visit the 1930s outdoor lido for a real taste of nostalgia! If you enjoy relaxing in green spaces, Cheltenham has many beautiful parks and gardens, all with some historic interest; be it the statue of Gustav Holst, composer of The Planets, to The Chalybeate Well, which still partially survives today at Sandford Park. Pick a quiet spot and read your favourite book, take the family on a picnic or hang out with friends, our parks can be enjoyed at any time of year as their facades change with the seasons. A great way to get around is by bike, and bike hire is available from Cheltenham Spa Railway Station from The Bicycle Hub. Most notably, close by you will find Cheltenham Racecourse, home to the Cheltenham Festival and Gold Cup, the Open and many other racing and non-racing events. The recent development of The Brewery Quarter offers a multiplex Imax Cinema, bowling alley, indoor adventure golf, and many high street branded restaurants, and Cheltenham has superb continental café culture during the day, as well as a vibrant nightlife scene as the sun sets, whether you enjoy dancing, theatre or music. Cheltenham is also popular for those that enjoy a little (or a lot) of retail therapy with a superb offering of high street and independent shops, split into quirky districts. With its close vicinity to the Cotswolds, Cheltenham lends itself as an ideal base if you enjoy outdoor activities – walking, cycling, golf and equine sports are just some of the activities to tempt you into exploring the area. Whilst we are a town and seen as a cultural destination, there are many things to do in Cheltenham for families, and you will be pleasantly surprised by all that is on offer if you want a break with the children or grandchildren. When planning you visit to Cheltenham, remember to check out What’s On in Cheltenham and Attractions in Cheltenham too, and be sure to add them to your itinerary. The Everyman is Gloucestershire's theatre - and has been serving the county (and beyond) since 1891. Cheltenham has an outstanding museum and art gallery with a programme of exciting temporary exhibitions and permanent galleries.. Established in 1971 as the home of rare breed conservation, Cotswold Farm Park offers a fun-filled day out. Children can interact closely with the animals in the Touch Barn and there’s also a wildlife walk, adventure playground and farm safari.